Sew Can Do: Craftastic Monday Link Party & FREE Blog Promoting! 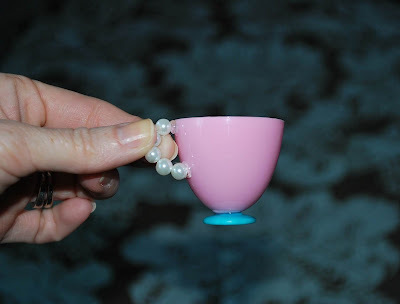 Craftastic Monday Link Party & FREE Blog Promoting! Welcome to a Craftastic party week! This week I've got some news for you. First, I'm coming up on my renewal for my link party service. Linky Tools has been ok, but there have been a few issues that make me want to go back to InLinkz. The downside is that all previous party links hosted by Linky Tools will disappear:( However, I'm thinking having better parties going forward is worth it. What do you think? Would anyone mind that past party links won't be around? A special spot on the sidebar for that blog's button for that entire week. So a week's worth of FREE advertising, with a featured intro and thousands of new people get to hear about your blog! How can you become Craftastic Blog Of The Week? Link up as many new projects as you'd like to the Craftastic Monday party each week. I'll check out the links that fulfill those requirements at the end of the week and choose one blog to feature. A new blog will be chosen each week, so each week is a new opportunity to show off your best, newest creations and possibly become Craftastic Blog Of The Week! And take a look at this clever windbreaker tutorial from Red-Headed Mommy -it's even got removable sleeves! Thanks for hosting ...have a great week! As always, thank you for hosting. I love the idea of Craftastic Blog of the Week and would love to be considered. I'm #17 Bicycle Handlebar Bags and have been participating in your parties for a few weeks now. Thanks for considering! I like using inklinkz myself. I would not be upset if you switched. Thanks for hosting. Hi Cheryl, I would love to have The Little Flower Dress considered for a feature, I've followed the steps! Cheers, Christie. I would love to be considered. I have your button on the right side bar of my blog. I never remember to go back and look at old linky parties, so it does not matter to me if they are still there. Thank you for the party! I am so happy to be here! I have linked a few projects and have included you on my party page!! Thanks for the opportunity! I would love to be considered for the Craftastic Blog of the Week. I have project numbers 27 and 29. Thanks! I would love to be considered! I have your button and I posted my kitchen reveal! Thanks for the feature this week. I'd also like to be considered for Craftastic Blog of the week. Thanks for hosting, and I too would love to be considered for Blog of the Week! Thanks for hosting! I would love to be considered for blog of the week:D I posted my chalkboard labeled planters and framed monogram wall decor... and buttons are up! Thanks for hosting and for expanding to include a blog of the week. I would love to be included in this and it is a great way for me (and others) to find new and interesting blogs! And it makes no difference to me what you use to host your parties even if it makes past parties go away; it's your blog we just hangout here ;)! I would love to be considered for the Craftastic Blog of the Week. How fun! And thanks for hosting every week! Hi Cheryl, I'd like the opportunity to be the Craftastic Blog of the Week. I'd linked up my projects and have a button for the linky party on my blog's side bar. Thank you for considering! Cheryl! Thank you so much for featuring the Tie & Suspenders Onesie this week! It was so exciting for me to see that up on your site :). I have linked a few projects/recipes and I'm sure Sarah will as well. We have your button on our side bar and we would love to be considered for blog of the week. This is really generous of you to do and as a new blog trying to build a readership we really appreciate your hospitality! Hey! I linked up some Mint Jeans and a few others like Jessica said above, we have your button up on our sidebar and would love to be featured as the Craftastic blog of the week! Thanks for doing this party! Your blog is awesome! I wouldn't mind at all if you switched, and I would love to be considered for your blog of the week. Thanks for all you do! i would love to be considered for your blog of the week, ive done all of the things needed to be considered. :) Thank you sooo much! Could you please consider my little blog as your 'blog of the week'. I have linked up my project and the 'Craftastic Monday' button sits proudly on my blog! Thanks a bunch.